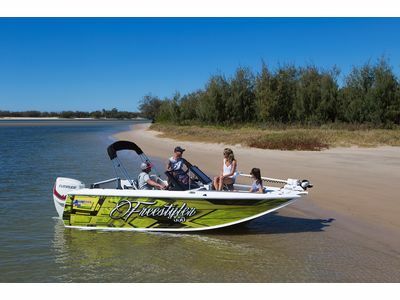 Quintrex Freestylers are a versatile boat type that’s high performance on the water and has all the amenities making it relaxing for your passengers. 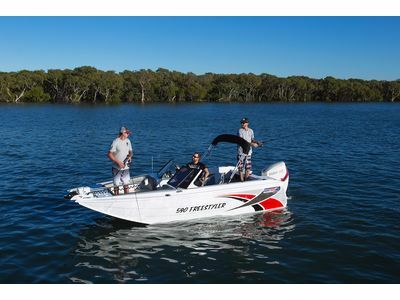 Freestylers are perfect for fishing and can be optioned up to make it more convenient for wakeboarding, water skiing or water sports. 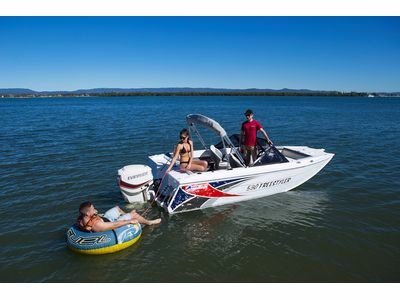 With plenty of storage and comfortable seating the new Apex hull offers the ultimate in on-water performance. The Freestyler features a unique, modern look with sleek sporty lines. To increase hull strength the Freestylers feature standard 4mm bottom sheets and 3mm side sheets. 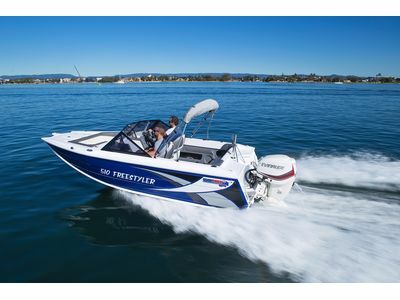 Perfect for the family, the 530 Freestyler offers safety and plenty of storage. The new raised side deck has increased freeboard by 80mm to increase internal volume and improve safety for the family. The new console storage hatch position allows for easy access and a place to keep valuables close by. Your sure to turn heads in a 550 Freestyler. The lines of the Apex Hull combined with the forked bow, raised side deck and sleek windscreen profile provides a unique modern look. Other optional extras include luxuries such as a picnic table and fish pack rear lounge. 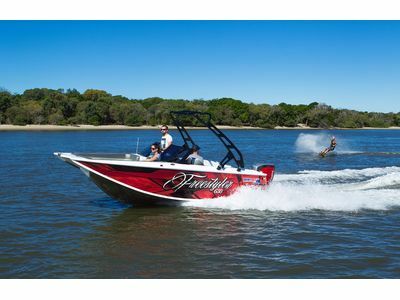 If water sports are your thing the Freestyler offers an optional wakeboard tower, barn door and bow ladder. If that's not enough Quintrex now offers a combined ski pole/bait board for the multi-taskers. The largest boat in the range, the 630 comes standard with a hidden anchor well and trasom door as added luxuries when heading offshore. The new Apex Hull offers superior performance for water sports as the wider chines have achieved increased stability and grip when cornering.